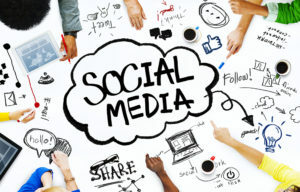 Why should your business use social media like Facebook, Google+, Twitter and Pinterest? Two reasons. Most importantly your customers and potential customers are there. Don’t forget though that social media and the Internet amplify word of mouth recommendations – perhaps the strongest form of marketing. We understand that while you’re running your business, you may not have the time or resources to take full advantage of social media opportunities. We can do it for you. We take a custom step-by-step approach to building an online marketing strategy for your business. Our digital team at Shamrock Digital Group can help with online advertising, digital marketing services like social media management, SEO and more. Contact us to set up an appointment at your location.